What does Reiki healing do? Reiki healing treatments restore balance, increase overall well being, induce relaxation, speed healing, relieve pain, clear toxins, assist meditation, increase intuition and more. How does Reiki healing feel? Reiki healing sessions may feel warm, tingly, and intensely relaxing. Most people report feelings of absolute relaxation, peaceful bliss, colors, tingles, or heat. Stress dissolves, pain releases, emotions become lighter. Optimism increases, and you experience a deep sense of well-being. Reiki sessions are equally effective via distance as in person. Is Reiki good for animals? Do you give Reiki to pets? Yes, Reiki is good for animals! It helps with their emotional balance and healing. I offer pet sessions in your home in or within 5 miles of Gaithersburg, MD, and also by distance. Contact me (240-780-8444) to schedule a session in person. For a distance session, register for distance healing using the button below, and comment on the paypal form, or email/call me about the type of pet, your pet’s issues, and to schedule your appointment. Where can I receive Reiki healing and how is it given? 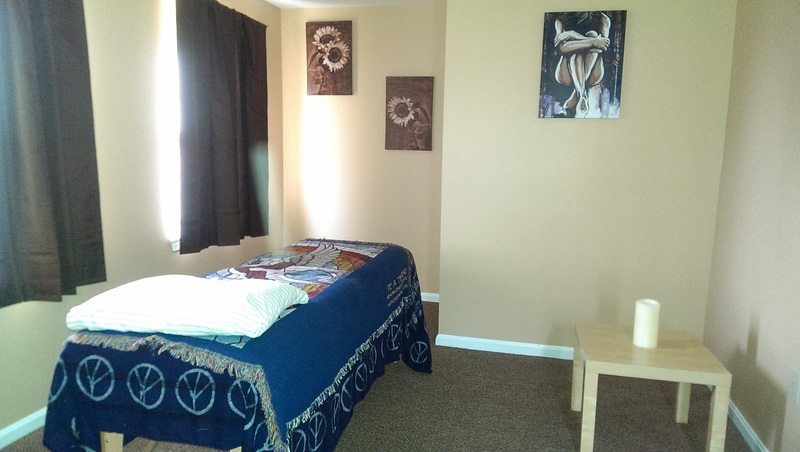 I offer Reiki healing sessions in Gaithersburg, MD. These sessions are 60 minutes in length, and you will relax, fully clothed, on a massage table while I facilitate your Reiki healing session. I will move around you, with a gentle touch or hands hovered above or around your body in certain places. I will share, if you wish, information about the state of your energy as we go, and the meaning of the intuitive messages that I receive during your session. In person sessions are $90. (First time clients, and those booking and paying online can receive the $80 discounted rate). New Clients: Please click here to make an appointment online. New client policy: booking online requires payment at the time of scheduling. You will receive a link via email with your appointment confirmation or see #2 below. Established clients (those who have been seen at least once) may book an appointment online, by phone, or in person, and payment is accepted at the time of appointment. When booking online, you can save $10, by paying online with this link. To schedule by phone, call me at (240) 780-8444. Sessions are available weekdays between 11 am and 2 pm, and between 11 am and 4 on weekends. The address of the office where I practice is: 615 South Frederick Avenue, Suite 310-A, Gaithersburg, MD 20877. There is free parking. It can be a great idea to have a series of Reiki sessions to experience profound, lasting improvements. If you’d like to purchase a Package of 5 Reiki sessions, you may do so at a discount, saving $50. The price for a Package of 5 sessions, scheduled on an as-needed basis (weekly is suggested), is $400. Please note: if you have cancer, and live within 15 miles of Gaithersburg, MD, I am happy to come to you to offer Reiki, and will do so on a free or donation basis. Reiki is very helpful for relieving symptoms and increasing healing and well being for the body, emotions, and spirit. Please call (240) 780-8444. You can receive Reiki from the comfort of your home! Distance healing is equally as effective as in person. I request a donation of $50 before a distance Reiki healing session. Simply click to order and email from me will follow. If you wish to request healing for any condition, issue, or goal, simply use the memo section of the paypal form when you order the Reiki healing. Once you put your request through, I will send your Reiki session and email you complete instructions on how to easily receive your healing energy. Only relaxation and quiet awareness are needed to receive a Reiki healing – meditation and/or intense concentration are not necessary. Intention will activate the healing to start, per my emailed instructions. In the email, I will also include a summary of my observations of your energy, and any intuitive guidance received during your healing session. This information can be extremely useful and meaningful. I always welcome feedback regarding the healing session, and the intuitive messages that I share. If you’d like to email me about anything related to your distance Reiki healing, or have questions, please feel free to do so at Alice.Langholt(at)gmail.com. For many people, a series of Reiki healing sessions close together for two weeks is an excellent way to begin clearing out unneeded energy and increasing one’s energy flow and holistic health. This subscription is a series of 5 Reiki healing sessions for the price of 4. They are scheduled as needed and sent individually, along with the observations and intuitive messages I received during each session. The series is $200 for 5 healing sessions. That means you only are charged for four sessions, but you receive five. Please use the button below. When your order is placed, I will contact you by email to arrange your healing sessions. *Note – if you desire, one of these may be a Psychic Healing-Distance Reiki combination session without additional fee. If you want more than one of the series to include Psychic Healing, there will be an additional charge of $25 per healing. I attended a 5 day seminar with the Consciousness Research Training Project, and learned to do a psychic healing technique that’s different from Reiki, but offers some deep and profound experiences for the recipients. It involves a deep meditational healing process on my part, and a sense of being held, nurtured, and at peace for you. If you’d like to read more about the feedback I received using this psychic healing technique, click here. I’m now offering psychic healing and distance Reiki as a combination healing for those who are interested in the full experience. For you, this means receiving the benefits of both healing methods – psychic healing and Reiki – plus the email report of my observations. When requesting your Psychic Healing – Reiki Healing Combination Session, if you wish to request healing for any condition, issue, or goal, simply use the memo section of the paypal form when you order the healing. Once you put your request through, I will send your session and email you complete instructions on how to easily receive your healing energy. Only relaxation and quiet awareness are needed to receive a healing – meditation and/or intense concentration are not necessary on your part. I will email you simple instructions how to activate the session when you are ready to do so. In the email, I will also include a summary of my observations of your energy, and any intuitive guidance I received during your healing session. This information can be extremely useful and meaningful. If you have an issue that could benefit from intensive clearing, healing, and guidance,I collaborate with two of my very close friends and gifted healers, Cher and Tom to offer Team Distance Healing & Guidance. Studies have shown that energy healing offered by a group of people at once is stronger than by one practitioner alone. Our strengths are different, and combined we can validate each other’s intuitive senses and support each other in many ways. Cher is able to channel the person’s guidance clearly, Tom is able to see blockages and entities, and I feel them via sensations in my hands and send strong healing energy. Working together, we find and remove blockages, etheric cords, and entities, seal the aura, and fill the recipient’s energy with light and healing energy. Cher receives guidance which helps us, and we pass the message to the recipient for his or her better understanding. Since we are at various distances in physical space, we collaborate in real time using chat and talk features on the computer. We usually work at 10pm EST but we can be flexible. If you would like to schedule a Team Healing with Tom, Cher and me, please email me. Tell me what you want worked on, and I will consult with Tom and Cher. We will respond and work with you to schedule a time for your session. The fee for a Team Distance Healing Session is $300.